All-Ireland champions Tyrone made it two wins from two in the Dr McKenna Cup when a first half goal rush saw off the challenge of St Mary's as they emerged with a 4-09 to 1-09 victory in Coalisland. Ryan Mellon (two), Sean Cavanagh and newcomer Tommy McGuigan all found the net after Conor Gardener had drilled home an early goal for the students. 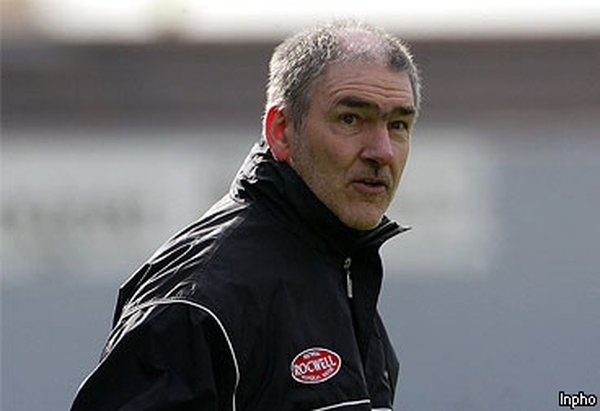 Tyrone and Donegal will now go head to head for a place in the McKenna Cup semi-final when they meet at Ballybofey next Sunday. Gardener gave St Mary's a perfect start with a goal after just four minutes, but Tyrone were back in business four minutes later when Mellon finished to the net from close range. Cavanagh then finished off a move started deep in defence by Dermot Carlin with a second goal, and McGuigan celebrated his first Tyrone start with a wonderful strike, like a bullet to the roof of the net. The Red Hands showed no mercy, driving home the advantage with a stoppage time goal, a second for Mellon. They led by 4-06 to 1-03 at the break, and while they failed to maintain the frenzied tempo, there was never any danger that Tyrone's grip on the McKenna Cup was going to be prised away by St Mary's. The students did trouble the Red Hands, however, narrowing the gap with scores from dynamic wing back Martin Murray and Leo Meenan, while substitute Jason Brown drilled three 45s between the posts. St Mary's full back Joe McMahon emerged triumphant in his personal tussle with Tyrone colleague Stephen O'Neill, holding the Footballer of the Year scoreless from play, while there were worthy contributions also from Murray, Meenan, Barry McGoldrick, Gardener, James Lavery, Conal Martin and Mark Donnelly. 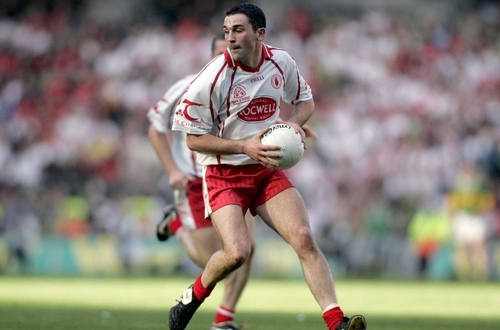 After Colm Donnelly, Martin Penrose and O'Neill, from a free, had kept Tyrone's comfortable lead intact, the student teachers produced a closing salvo with points from Brown and Brendan Byrne. Tyrone: J Devine, D Carlin, S Sweeney, M McGee, B Boggs, P Quinn, B Donnelly, B Meenan, C Holmes, T McGuigan (1-00), S Cavanagh (1-01), C Donnelly (0-01), M Penrose (0-02), S O'Neill (0-03, 3 frees), R Mellon (2-02). Subs: C Gourley for McGee, R Mulgrew for Cavanagh, A McCarron for Mellon. St Mary's: M O'Kane, J Ball, J McMahon, T Hackett, M McCullagh, D Gordon, M Murray (0-01), C Martin, J Lavery, L Meenan (0-01, free), B McGoldrick (0-01), R Keenan (0-02, 1 free), G O'Neill, M Donnelly, C Gardener (1-00). Subs: J Brown (0-03, 3 frees) for Gordon, D Coulter for Ball, B Byrne (0-1) for Gardener.